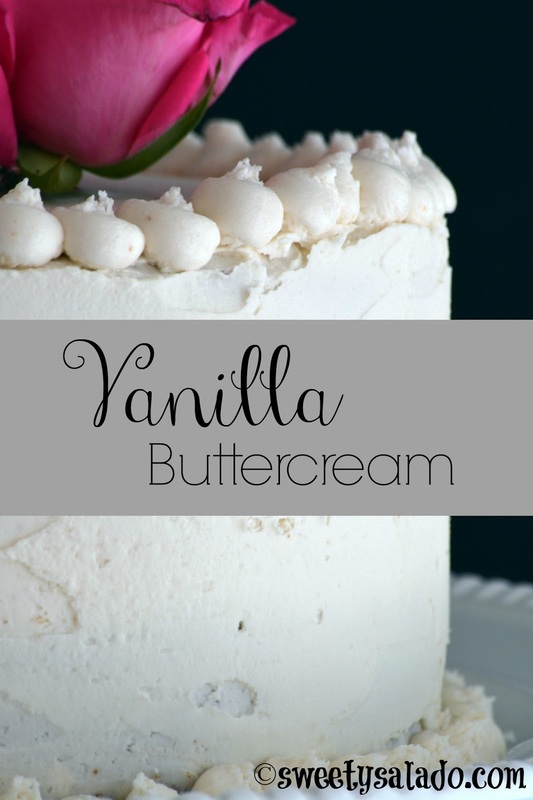 There is nothing like homemade buttercream, and the reason I say that is because most cakes or cupcakes are decorated with the sweetest buttercream you could ever make. It’s as if the person who made it went crazy with the powdered sugar and added like 20 pounds to the mixer. If you really want to disappoint me, give me a cupcake frosted with extremely sweet buttercream. I need to keep diabetes away from me as far as possible. That’s why making your own buttercream is the best. You can add as much or as little sugar your heart desires and you will almost never be disappointed. But do keep in mind that it is the amount of sugar that will stabilize your buttercream because the butter is not solid enough to do it on its own. And just like with any buttercream you make from scratch, be patient, especially if you want the color to be as pale as possible because the more you mix it, the lighter the color will be. Also, if you want to keep that light color, make sure you use clear vanilla extract. I personally care more about the flavor than the color, so that’s why I always use pure vanilla extract or better yet, vanilla bean seeds. Yum! 1. Beat the butter with an electric mixer in a large mixing bowl at high speed until fluffy, about 2-3 minutes. 2. Add half of the amount of sugar and mix on high for about 2-3 minutes. Then, add the remaining sugar and mix on high speed for another 2-3 minutes. Scrape the sides of the bowl to make sure everything is well incorporated. 3. 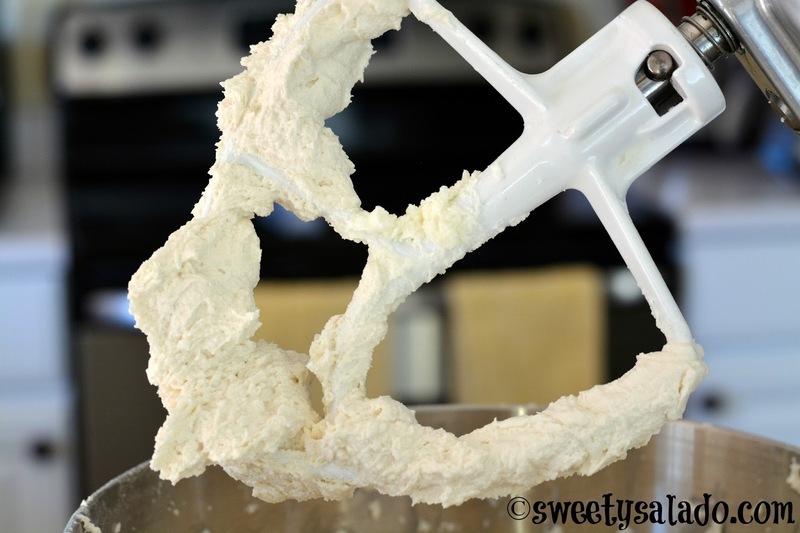 Add heavy cream (for creamy buttercream) or milk (less creamy) and mix again on high speed for 2-3 minutes. 4. Add the vanilla extract and mix again at high speed for 1-2 minutes. 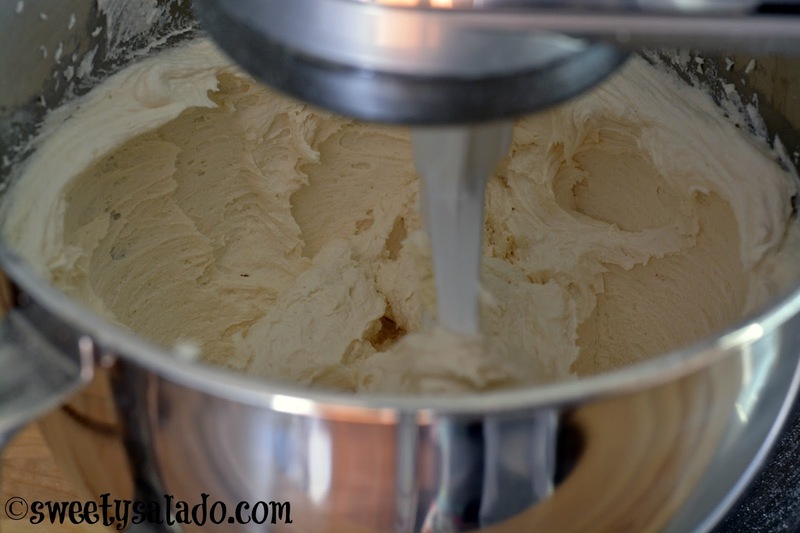 Add more heavy cream or milk if the buttercream is too thick and beat again until smooth. If it's too thin, you can add more powdered sugar.